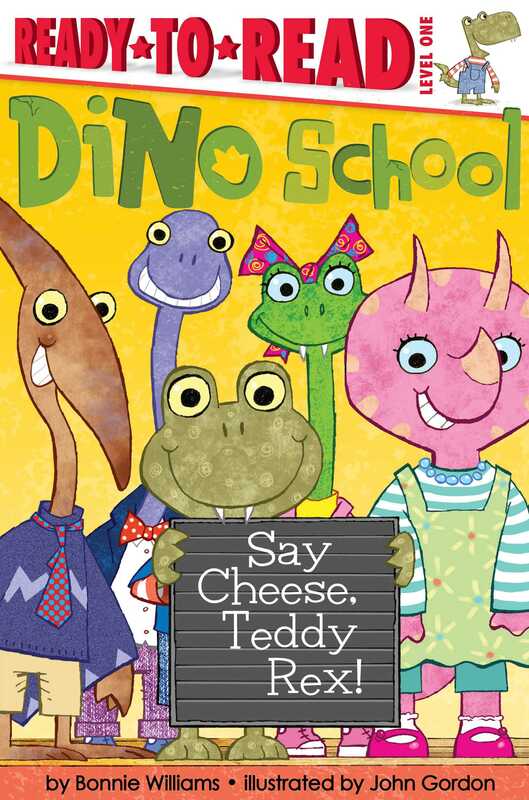 Teddy the T-Rex prepares for school picture day in this dino-mite Level 1 Ready-to-Read story. It’s class picture day at Dino School and Teddy Rex is excited to wear his favorite sweater for the photo. But when he gets a juice stain on it, Teddy gets mad! What will he do? This Level 1 reader will help little ones learn to deal with their own dino-sized emotions! Bonnie Williams is a children’s book editor and writer who lives in New York City with her two snuggly cats, Mushie and Jacob. When she isn’t working, her favorite activities include going to the theater, ice skating, and reading (of course)! John Gordon has worked as an illustrator in many different areas of the creative industries. He has produced corporate campaigns, comic cartoons, film posters, and, of course, worked extensively for publishers. He has a wife and three daughters and lives in rural England. Book Cover Image (jpg): Say Cheese, Teddy Rex!